The only Hawaiian Owned & Operated Surf School in South Maui. 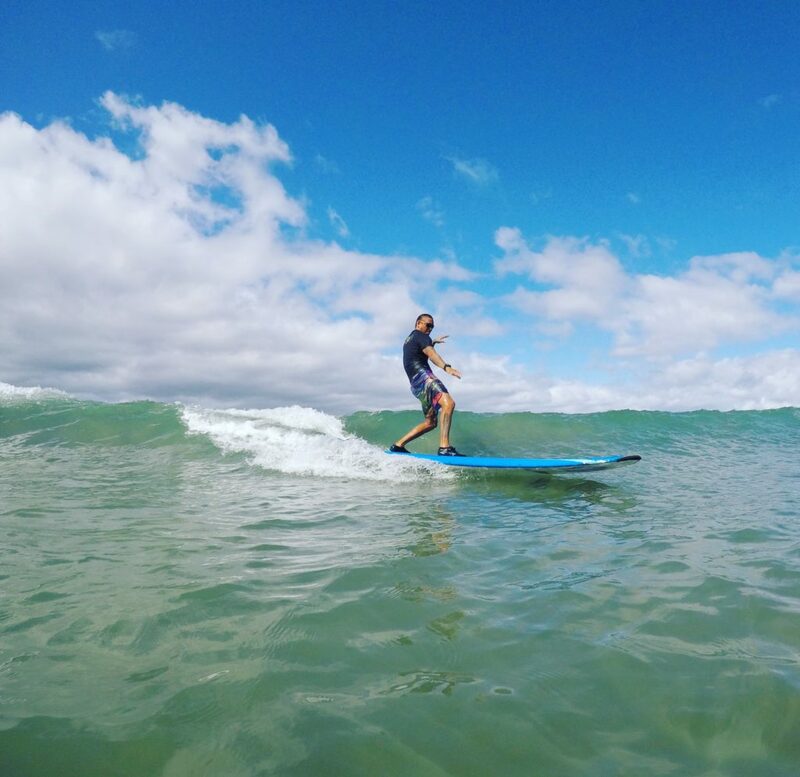 Book your surf lesson today and become ‘ohana! Hele Mai! Get a true understanding of Hawaiian history, knowledge the sport of Hawaiian kings, and become part of our Ohana. Get an authentic Hawaiian experience. This is our history, our culture, our lifestyle! Such a fun family day learning to surf with Aloha Ocean Adventures on Maui. Our instructor Keoki made our learning to surf easy. We felt so comfortable and safe and really loved hearing about Hawaiian culture. There are so many companies that offer surf lessons but this one was our favorite. Highly recommend for families with kids of all ages and even for parents…my husband and I are in our 50’s. So fun!! Best day ever!!! Best day ever surfing with #AlohaOceanAdventure. My first lesson was back in ’03 at Diamond Head in Ohua, and I couldn’t ride a wave for the life of me. Fast forward to 2018, now I’m able to catch some easy waves on my own; I can turn and brake. This was only my second lesson since Diamond Head. All thanks to Kiki and Kimo for their clear instructions and guidance. They’ve given me more confidence to further my skills. My son and I had a fantastic morning with Ikaika and Kimo for our first time surfing. Welcomed us like family, showed us the basics to get us out on the water and shared expert tips when we were ready. You know you’re in good hands with this team. Ikaika is a former pro SUP surfer and surfing instructor for 17 years, also a generous and kind man who makes you feel safe and at ease in the water. Kimo provided us the proof of our surfing adventure–great photos and video! Mahalo guys, be well and prosper. Three great options to get you riding waves today. Everything is included. Just bring yourself! with up to 6 other people. A 2-hour lesson with a personal instructor for your family or group. A 2-hour lesson 1-on-1 with your own personal instructor. Capture a memory of a lifetime … and prove to your friends that you rode a wave in Hawaii! This half-day adventure is like nothing else you’ll find on Maui! You’ll explore several surf breaks and beaches. Experiencing Maui from the water like this is truly a unique perspective.